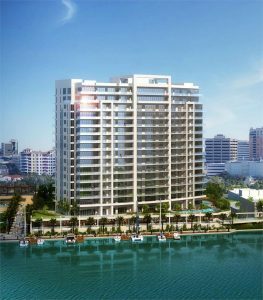 The 73-unit waterfront tower, adjacent to the 18-story Ritz-Carlton Sarasota hotel and condos and part of the 15-acre Quay Sarasota mixed-use project, is scheduled for completion in the fourth quarter of 2020. To date, 29 of the residences in the SB Architects-designed tower have either been reserved or sold, generating $105 million in sales, says John Harper, a Kolter Urban senior project manager. The residences, measuring 3,200 square feet to 6,100 square feet, exclusive of terrace space, will feature private elevators and “flow through” views of the water and the city’s skyline. Each is priced from $2.5 million to $5 million. In addition, each unit will have access to 24-hour concierge services affiliated with the 266-room Ritz-Carlton Hotel, together with amenities like the resort’s beach club on Lido Key and 18-hole golf course near Lakewood Ranch. Owners also will be able to join the resort’s Members Club. “The quality services being provided are really a large part of what’s driving this project forward,” says Michael Saunders, founder and CEO of real estate brokerage Michael Saunders & Co., the listing agent for the tower. The building’s amenities will include a resort-style swimming pool, fitness center, clubhouse, pool bar, demonstration kitchen and private dog park. 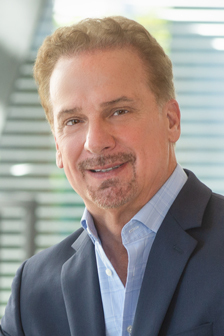 “I can’t think of two better brands to launch the Quay Sarasota than Kolter and the Ritz-Carlton,” Harcrow says of the $1 billion, mixed-use Quay. Kolter acquired the roughly one-acre tract for the Ritz-Carlton Residences earlier this year for $19.3 million.